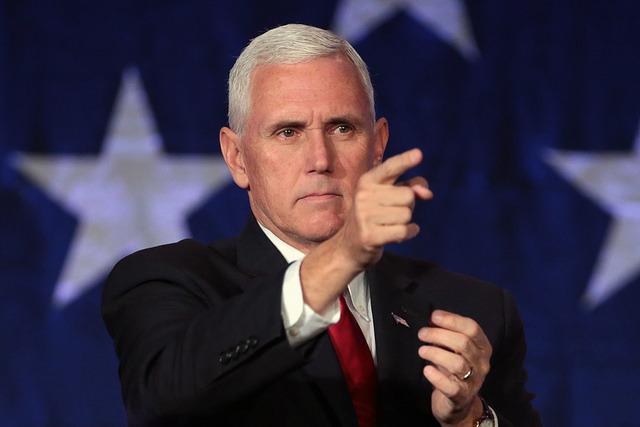 Gun ban at Pence-featured NRA convention has Parkland students baffled. Why more guns at schools, but zero at conventions? As you recall, after the Parkland school shooting in February that killed 17 people including 14 students, the NRA was adamant that schools would be safer if it were staffed with gun-toting faculty members. “To stop a bad guy with a gun, it takes a good guy with a gun,” is the mantra of NRA CEO Wayne La Pierre. So it's pretty incredulous that when Mike Pence speaks at the NRA's forum this weekend, all guns will be banned from the event. Needless to say, the Parkland survivors are taken aback. "The NRA has evolved into such a hilarious parody of itself," Parkland survivor Cameron Kasky tweeted. With a convention full of so many “good guys with guns” wouldn’t this be the safest place on earth? The Secret Service is in control of security. The NRA is yeilding to them. That said, the NRA should uninvite Pence. My point being, too bad the NRA isn't as concerned about the safety of students as they are about the Veep's. Longtime former NRA member. According to NRA/Secret Service logic, more guns equals safer schools, but no guns equals safer conventions. Makes about as much sense as everyday politics in America. The admitted agent for Russia was connected with the NRA and pro-Trump U.S. political groups.